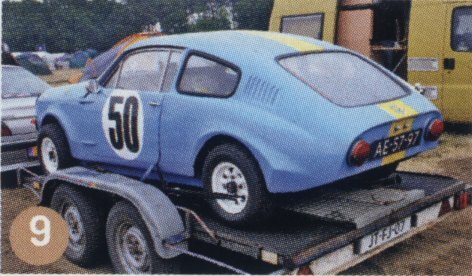 The caption reads "Dutch registered Mini Marcos loaded up on a trailer for the trip home". Pretty poor considering the great show our members put on for the Grand Parade. The car pictures is Frank Morskate’s Mk.III Mini Marcos, MM 7329.